As per seller, this Gator Tail is in excellent condition and has hardly been used. The outboard is in excellent running condition as is all electronics. The camouflage 'blind' is in excellent condition along with the trailer which is ready for the road. Stock #174325 2017 Gator-Tail GTB1754 Extreme Package Camo Boat & Motor Accessory Package Swamp Lights Troll Motor Bracket Smooth Floor If you are in the market for an aluminum fish boat, look no further than this 2017 Gator Tail GBT 1754, priced right at $17,250 (offers encouraged). 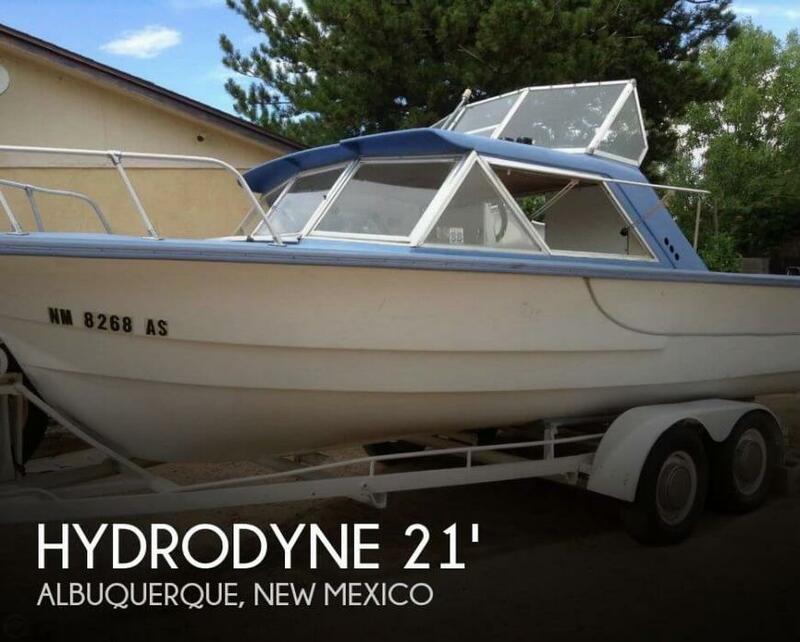 This boat is located in Edgewood, New Mexico and is in great condition. She is also equipped with a Gator Tail engine that has only 10 hours. Reason for selling is husband passed away. As per seller, the hull and upholstery are in excellent condition and hardly used. The carpeting, storage bins, and lockable covers are also in excellent working condition. The electronics are also in excellent working condition as is the Mercury outboard. Stock #173830 2015 Bass Tracker Pro TXW 175. Beautiful, pristine. 75 hp 4 stroke Mercury, 40 hrs. 2 livewells, 1 rod locker, trolling motor, fish finder. Reason for selling is husband passed away. This Catalina has been owned by the current owner since 1994 and was his pride and joy. Because of health issues of the last several years, he has not been able to perform the upkeep required to keep this boat beautiful. Lots of sanding and teak oil are going to be required. The port side of the hull needs gelcoat repairs from rubbing against a fenders for too long. The mainsail cover needs restitched and the owner reports that all of the sails are in good/serviceable condition. She has good bones, just needs your attention. Stock #168586 Popular Catalina 30 -- Day sail it or take it down to the BAHA If you are in the market for a sloop, look no further than this 1978 Catalina 30, just reduced to $14,000 (offers encouraged). 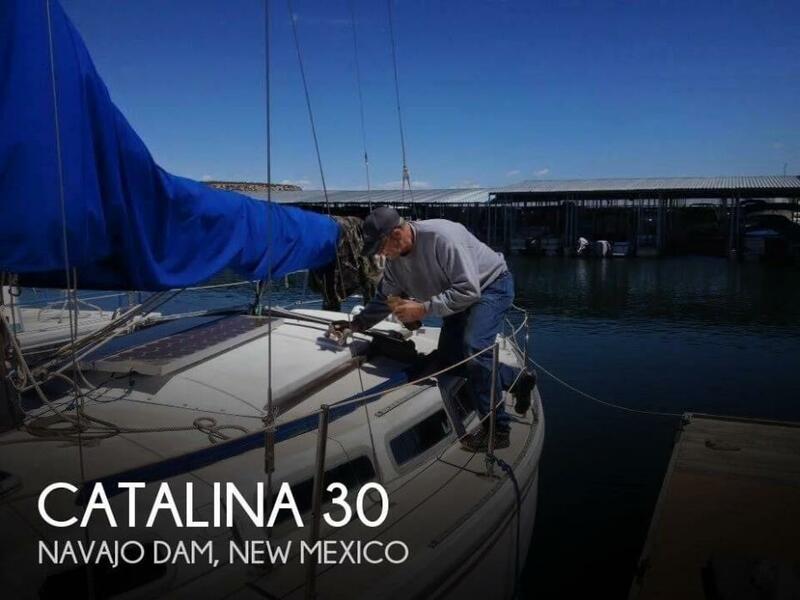 This sailboat is located in Navajo Dam, New Mexico and is in need of some work. She is also equipped with a Beta engine that has only 119 hours. Reason for selling is not using. 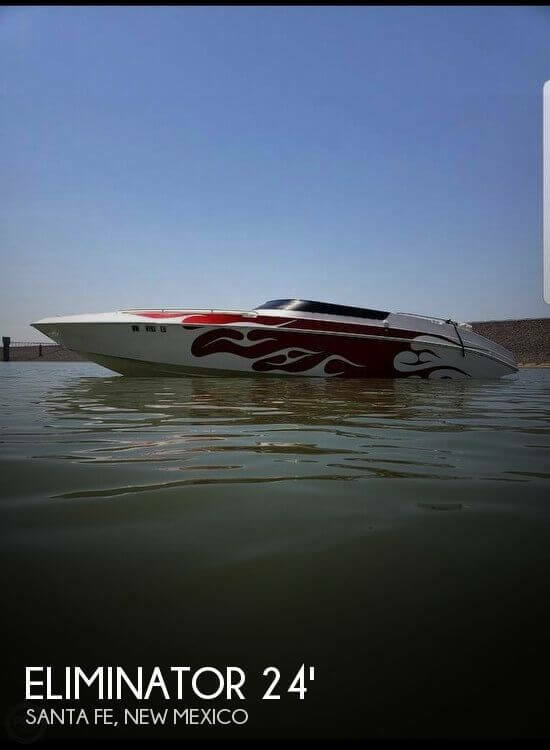 Current owner (2nd Owner) say's his 2005 CHAPARRAL 260 SIGNATURE is in "Very Good Overall Condition" As received from the current owner; Always serviced and maintained annually or as needed Kept clean Has only been used in "FRESHWATER" Low hours at 164 ***I have not inspected this vessel in person. Pictures and details have been provided by the owner, please do not hesitate to contact me with any specific questions, to submit an offer, or schedule a showing*** Stock #172532 VOLVO PENTA 5.0L 270 HP..!! VOLVO PENTA I/O WITH SS DUO-PROP..!! COCKPIT COVER..!! TRAILER INCLUDED..!! ONLY 164 HOURS..!! If you are in the market for an express cruiser, look no further than this 2005 Chaparral 260 Signature, just reduced to $34,700 (offers encouraged). 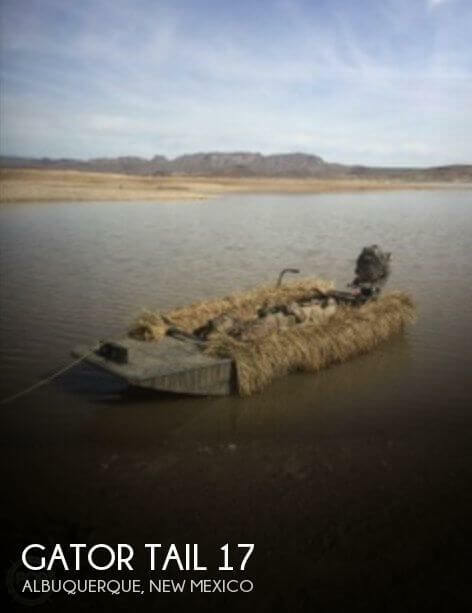 This boat is located in Elephant Butte, New Mexico and is in great condition. She is also equipped with a Volvo Penta engine that has only 164 hours. Reason for selling is sizing up. The listing broker has not personally seen this vessel. The vessel is stored indoors and about three hours from the seller. The showing will have to be arranged in advanced for qualified buyers. The boat has been winterized and summerized every year and is in above average condition! Stock #172816 Beautifully kept 226! Storage in center under the carpet for skis & knee boards! If you are in the market for a ski/wakeboard boat, look no further than this 2002 Cobalt 226, just reduced to $28,500 (offers encouraged). 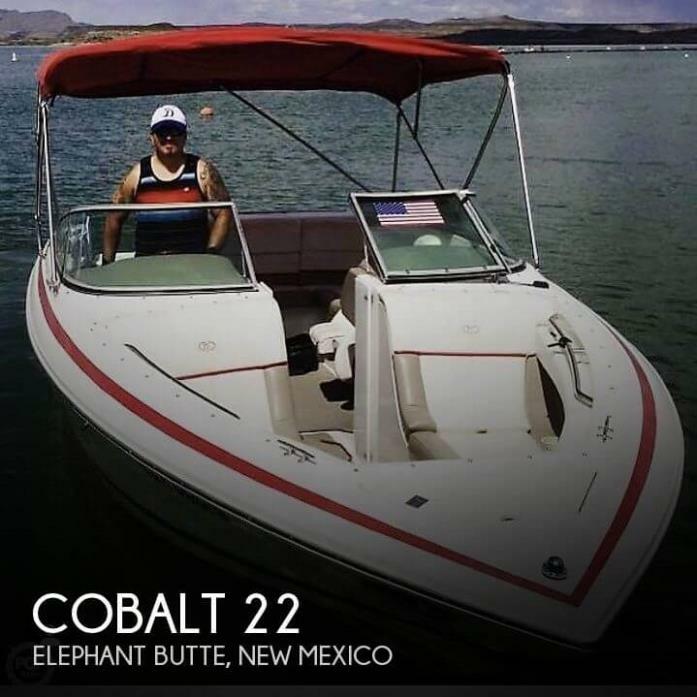 This boat is located in Elephant Butte, New Mexico and is in good condition. She is also equipped with a Volvo Penta engine. Reason for selling is do not have time to enjoy the vessel. Hull looks great all the way around. Very clean and shows even better in person. The vinyl throughout the boat is in great shape, foam flooring makes for an easy hose down after a day on the water. Wake tower, speakers and lights give this Epic a great look and sporty feel. Stock #167433 Beautiful 2015 Epic with 450HP! Fantastic Family Wake Boat! If you are in the market for a ski/wakeboard boat, look no further than this 2015 Epic 23V, priced right at $63,999 (offers encouraged). 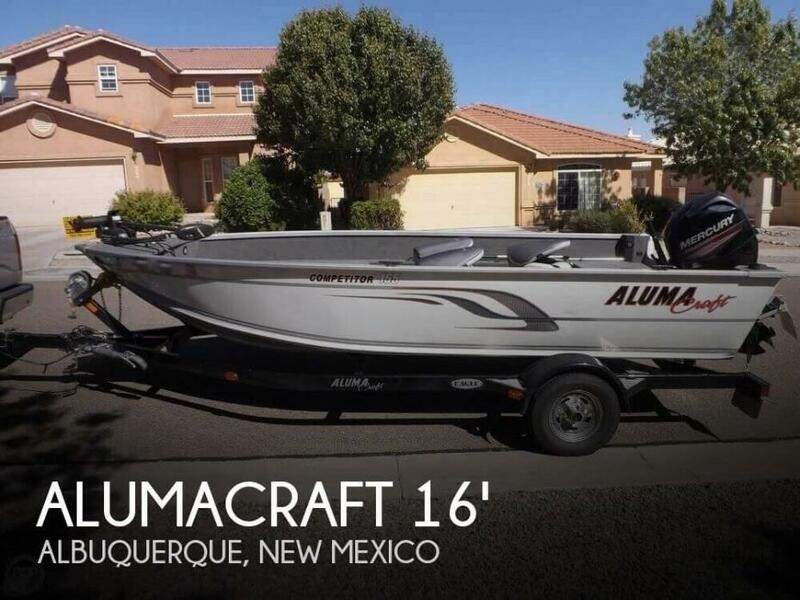 This boat is located in Albuquerque, New Mexico and is in great condition. She is also equipped with a Mercruiser engine that has only 110 hours. Reason for selling is not enough time to enjoy!. The included pictures do not do justice to the immaculate condition of this fine Sumerset. The Upper Deck is made to entertain your family and clients as well. Is the game on? Well, let's swing down the TV and continue rooting up there! Want to take her out of the slip? The Upper Helm has full control with bow AND stern thrusters to back out and return at your command. Stock #120862 Your success in life has rewarded you well. The finer things in life are in not spending what you want on retail prices. If you are in the market for a houseboat, look no further than this 2007 Sumerset 19 x 103, just reduced to $630,000 (offers encouraged). 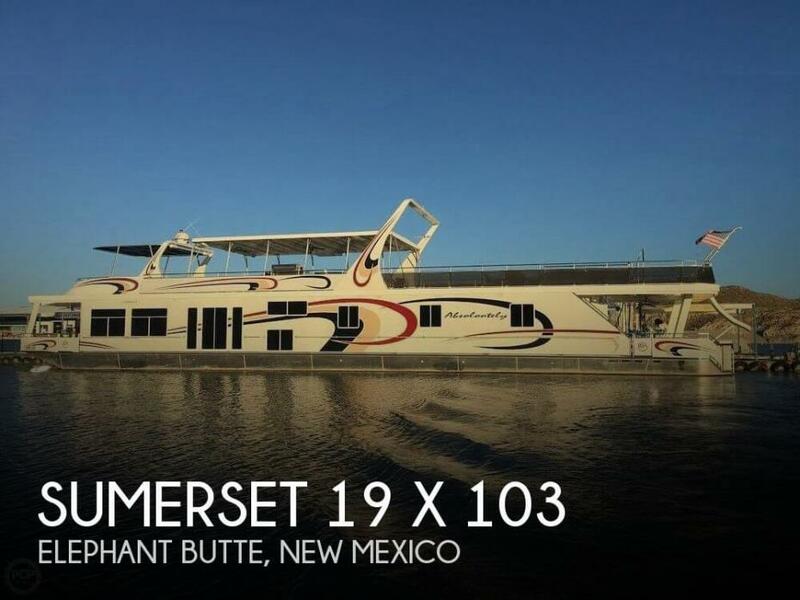 This vessel is located in Elephant Butte, New Mexico and is in great condition. She is also equipped with twin Mercruiser engines that have only 124 hours. Reason for selling is going rving!. Stock #164398 Great Condition, Ready to Ride, Come and see what all the Fuss is about and why Four Winns is considered Top of the Line! 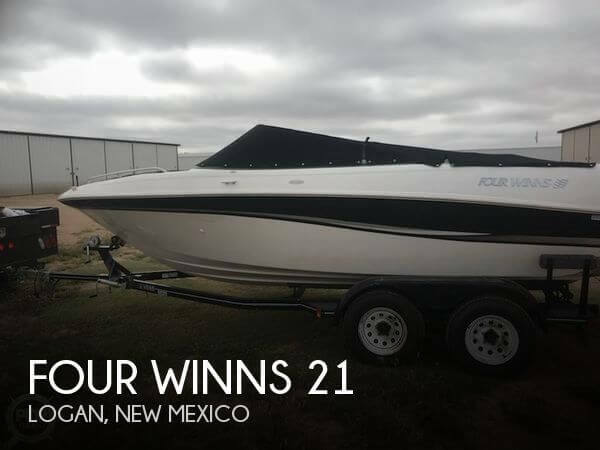 If you are in the market for a bowrider, look no further than this 2002 Four Winns 21, priced right at $16,000 (offers encouraged). This boat is located in Logan, New Mexico. She is also equipped with a Volvo Penta engine. Hull is clean of any major damage or scratches. Upholstery looks to be in good condition For its age, low hours and seems to be cared for. Walk-through windshield, boat cover, dual axle trailer, take her to all the great spots. Stock #086239 Seaworthiness is not a challenge for this Larson! If you are in the market for a bowrider, look no further than this 2002 Larson SEI 210 BR, just reduced to $15,000 (offers encouraged). 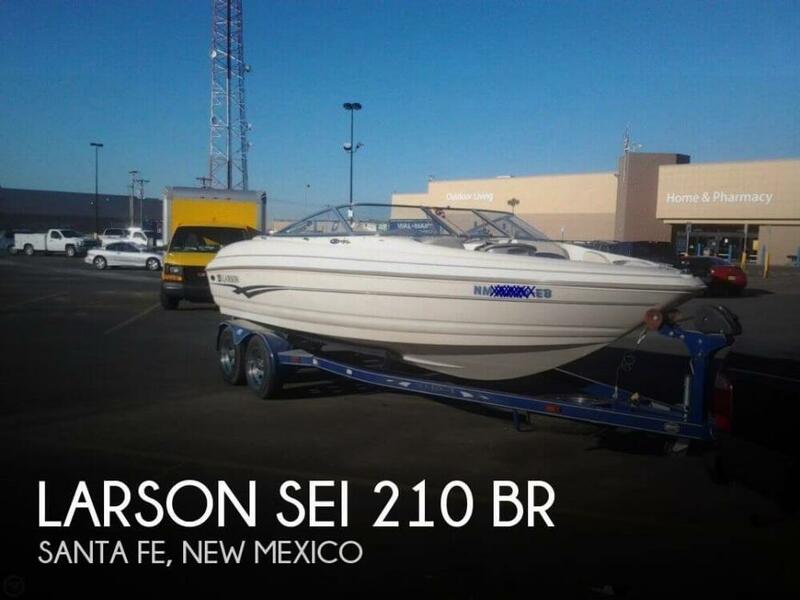 This boat is located in Santa Fe, New Mexico and is in good condition. She is also equipped with a Volvo Penta engine that has only 35 hours. Reason for selling is truly has no time to use due to work. With new carpet and fairly new paint inside, outside some spots of finish paint, might need some touch-up, it is in very good condition. Some upholstery has fade and wear so it is not perfect and might need to be redone. It's just according to the buyers taste. Stock #115117 An Original Hydrodyne Crusader 21! Own a piece of history! If you are in the market for an antique and classic boat, look no further than this 1967 Hydrodyne Crusader 21, just reduced to $39,998 (offers encouraged). 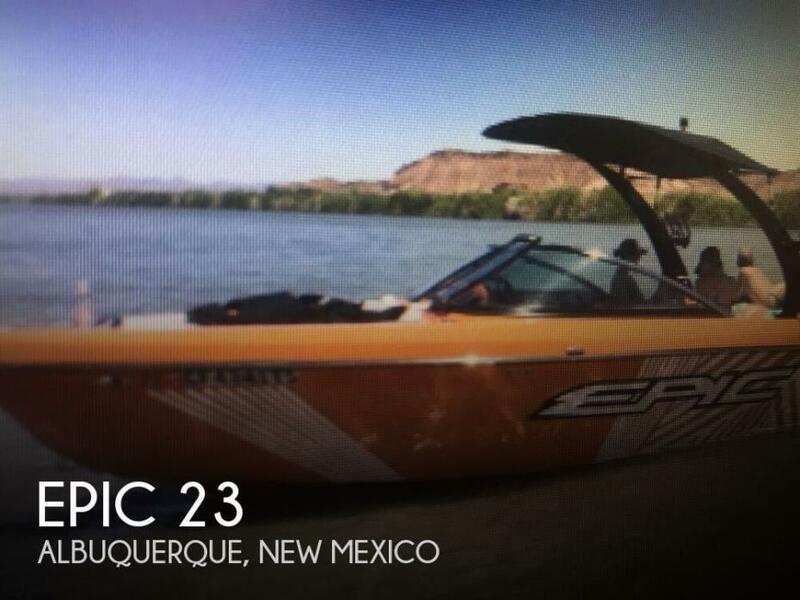 This boat is located in Albuquerque, New Mexico and is in great condition. She is also equipped with a Ford engine that has only 3 hours. Reason for selling is dad passed away, dont need it now..
As per the seller, the boat is in very good condition inside & out. Engine runs great, all systems work as they should. Nice boat for zipping around the lake in. Just add water, and you're ready to go! 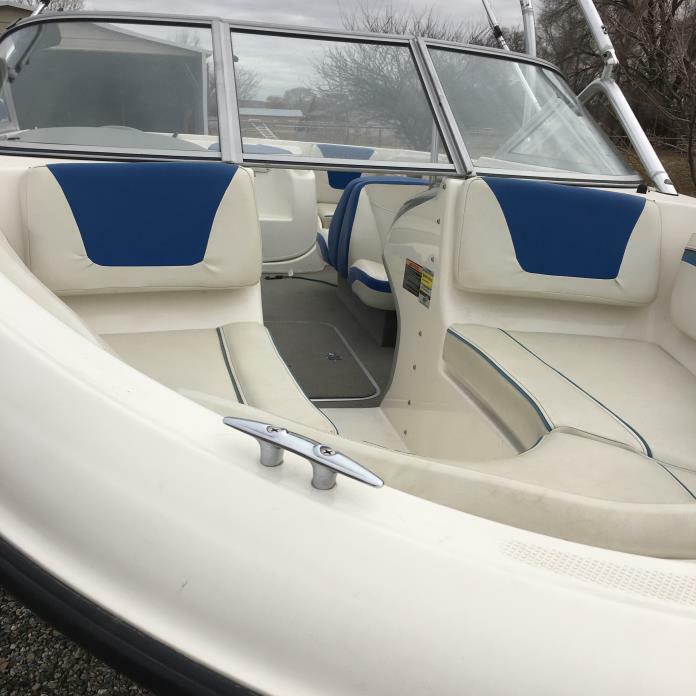 Stock #162804 1994 Eliminator, 454 motor, new paint just did the interior, new stereo bluetooth cd player 2500 w amp and a 800 watt amp If you are in the market for a high performance boat, look no further than this 1994 Eliminator 230 Eagle, priced right at $17,000 (offers encouraged). 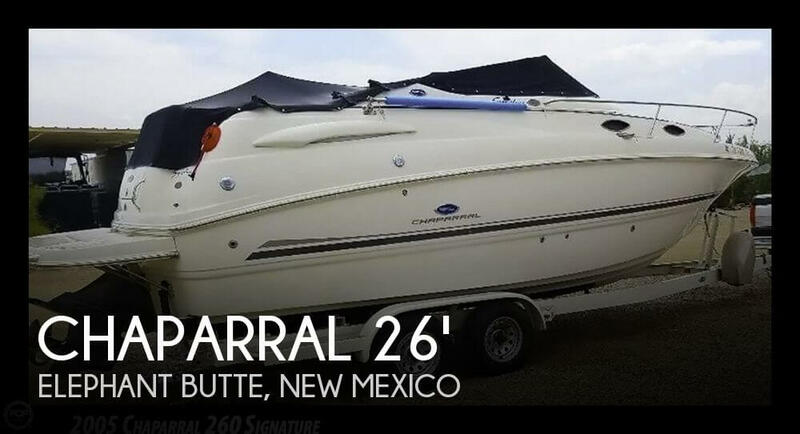 This boat is located in Santa Fe, New Mexico and is in good condition. She is also equipped with a Mercruiser engine. Per the Seller: This 2015 Bennington SX22 has been well kept, serviced and maintained. 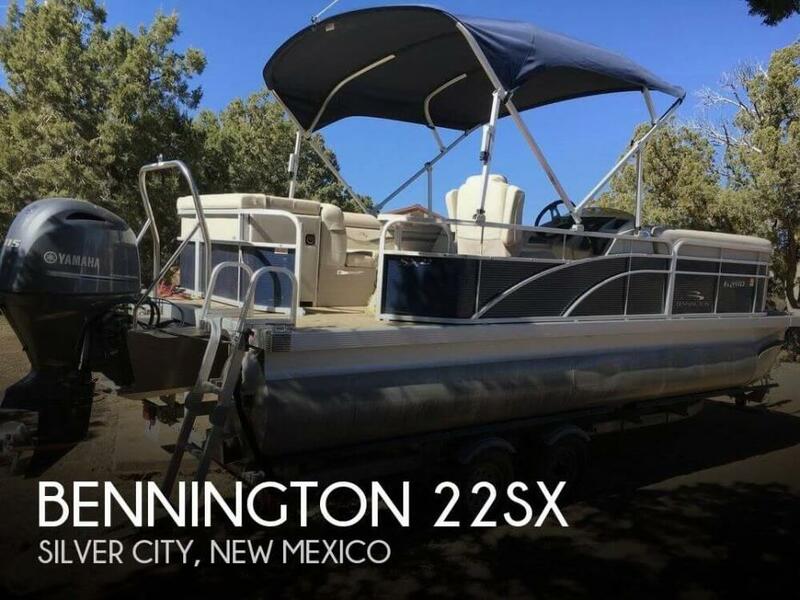 It has been used in fresh water lake in North Carolina and moved out west to New Mexico and too far from the water, so it's your gain Stock #146501 Excellent Bennington SX22 pontoon with very low hours! If you are in the market for a pontoon boat, look no further than this 2015 Bennington 22sx, priced right at $30,000 (offers encouraged). 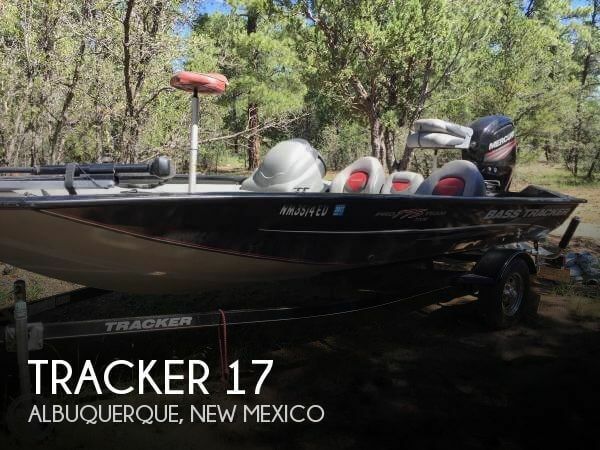 This boat is located in Silver City, New Mexico and is in great condition. She is also equipped with a Yamaha engine that has only 76 hours. Reason for selling is too far too the water. Very beautiful 2007 Regal 2860 Window Cruiser. Very well maintained and serviced every year, excellent condition. This boat has it all. 317 hours on the twin 4.3's. She has been in fresh water only, and that is only 5 months per year. The rest of the time the boat has been kept in a garage. Never kept outside. If anything was wrong with this boat it was fixed the next day. Always well maintained. Queen bed, the dining table turns into bed also, porcelain vacuum head with macerator pump, shower also in the head, Air conditioned. 2 refrigerators, one in the galley the other topside bar. Both have freezers. The windlass pulls about 500 lbs. The radar / fish finder/ charting is Ray Marine. The boat has a Sirius Antenna. The trailer is in excellent condition. It is a heavy duty 3 axel with surge brakes Here is what is aboard. - Bimini Top, - Boat Cover, - Cockpit Cover, - Battery Charger - Dual 10-amp, Fish Finder - Max Depth 600' - GPS - Fixed Mount w/Cartography, - DVD Player, - Flat Panel T.V. 19", - Stereo - AM/FM/CD/Aux Plug-in/Satellite Ready w/4 speakers, - Bar / Console, - Microwave Oven, - Pressure Water System, -Range - Electric, - 2 Refrigerators - AC/DC - 6 cu. ft., - Water Heater - 6 Gallon, - Air Conditioning - Self Contained - 12,000btu, - Batteries - Dual w/Switch, Dual-Prop - - Twin, Propeller / Stainless Steel (3-Blade), - Spotlight - Remote Control, - Swim Step - Fiberglass, Swim Step w/Fold Down Ladder, - Trim Tabs / Hydraulic, - Vacuum Flush Head - w/Holding Tank & Pump Out - 12 volt macerator pump, - Windlass and washdown pump. This boat has a fresh water tank also. All in good condition. All original manuals. Trailer 2007 Tri-Axle with surge brakes Stock #160232 Beautiful 2860 Window Express with low hours, always stored indoors! If you are in the market for an express cruiser, look no further than this 2007 Regal 2860 Window Express, priced right at $68,500 (offers encouraged). 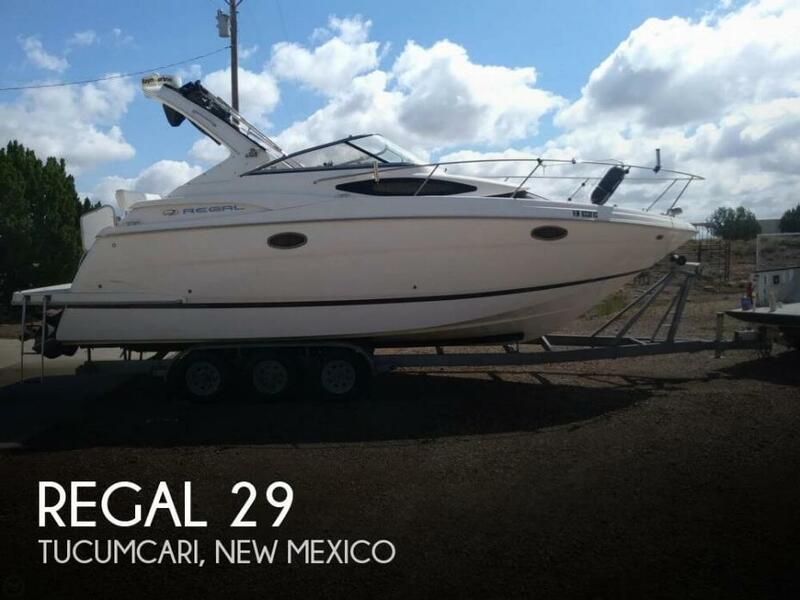 This boat is located in Tucumcari, New Mexico and is in good condition. She is also equipped with twin Volvo Penta engines that have 317 hours. Reason for selling is getting out of boating.